Home / JOB VACANCY / FOREST PROGRAMME OFFICER IS WANTED AT WORLD WIDE FUND FOR NATURE (WWF) FOR JOB. FOREST PROGRAMME OFFICER IS WANTED AT WORLD WIDE FUND FOR NATURE (WWF) FOR JOB. 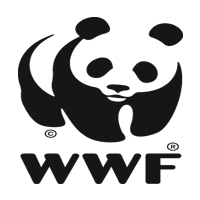 WWF (The World Wide Fund for Nature) is an international non-governmental Organisation that deals with conservation of nature through a number of environmental management programs. Our mission is to stop the degradation of the planet's natural environment and to build a future in which humans live in harmony with nature. WWF-Tanzania Country Office(WWF-TCO) is seeking is to hire the “Forest Programme Officer” to be based at WWF Kilwa Office. Under the supervision of Forest Programme Coordinator, the Project Officer will assist in supporting the management and execution of forest programme activities within the forest landscapes. He/She will be responsible for daily activities of the project. In collaboration with identified key stakeholders, take a lead in the process of describing and delineating the agreed forest landscape boundaries, and assess issues related to forest gaps, connectivity, and buffer development functions. Lead the process to develop a participatory Forest Work Plan with Civil society and local district. Facilitate implementation process of the great conservation plans with key indicators baselines completed and new area management effectiveness tracking tool(METT) scores completed and constantly monitored and reported. Collaborate with Mpingo Conservation Project plus other Civil Societies in the Landscapes of joining and scale up Group Certification Scheme under MCDI. Additional Information, including detailed Terms of Reference, can be obtained viahttp://wwf.panda.org/who_we_are/jobs_wwf/. Applications must include a cover letter and a complete cv with full contact details of three referees and should be addressed to the Human Resource Manager through hresources@wwftz.org by Monday 21st May 2018 at 4:30 pm. Only shortlisted candidates will be contacted and the interviews will take place in Dar es Salaam. WWF is an equal opportunity Organization.